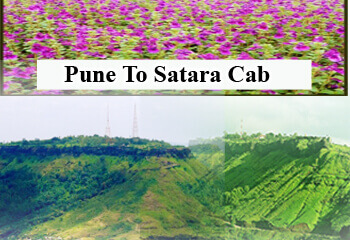 Satara Tourism includes many places to visit around the total distance from pune to Satara is 118 km by road and 82 km by train and there are no flights available between Pune via Satara yet. Satara District is a District of Maharashtra State. The Satara district Consists of Four Subdivisions namely Satara,Kharad,Wai,Karad and Phaltan. Nearby satara there are various places ti visit like the koyna dam which is the largest dams in Maharashtra ,the Koyna dam is a rubblr-concrete dam whose construction was on the river Koyna which rises in mahabaleshwar. The main purpurse of koyna dam is producing Hydroelectricity and providing some kind of irrigation in the nearby areas. Koyna dam creates Shivajisagar lake. The construction of Koyna dam was started in the year of 1956 and begain in the year of 1964. The Shivsagar lake is a reservoir in the state of maharashtra whose inflows and outflows are the koyna river with a depth of 260 ft. Satara city is well known for its pedhas ie the Kandi pedhe the satara city was one of the capitas of the Maratha Empire. There is also Ajinkyatara fort in Satara it is the 16th century fort. Which is located at Ajinkyatara Mountain at a 3300 feet high. By road Ajinkyatara fort is 2hrs from Pune and 4 hrs from mumbai 3 hrs from kolhapur. The clomate of Satara is wet and dry. Saat meaning seven in Marathi and Tara meaning hill, thus forming the word ‘Satara’.